At the beginning of April, I announced a special offer to the readers of Epic Edits — A selection of silver-gelatin prints from my darkroom for $25 each. The results of this offer? I’m a bit embarrassed to say that I had a grand total of 4 takers. Don’t get me wrong — I completely appreciate the 4 sales I did receive! Definitely better than none! But I can’t help but be disappointed with the relatively low number of sales compared to the amount of work I put into the offer. Even before announcing the print offer, I had to pick out 10 of my b/w film photos based on what I thought other people might want to buy. Choosing a small selection of photos for anything is tough, especially if they’re your own photos. After a day or two of contemplating, I finally settled on a selection of images from my personal favorites and the favorites of others based on Flickr stats (comments, views, favorites, etc). Also before offering the prints for sale, I wanted to make sure I could actually print them. I’ve encountered a small number of photos that I couldn’t print in the darkroom with my current level of experience, so I was going to be sure that I could produce a quality print for each of my selected photos. Each of the 10 photos took about 1 to 2 hours of work in the darkroom, so probably 15 hours of my time. Then, I wanted to show the actual prints to prospective buyers, so I scanned them in and posted them on Flickr. This way, people could see the crop and tonal range on the print rather than the film scan. Between scanning, processing (to match the look of the real print), and posting, this ate up probably another 3 to 5 hours of my time. And finally we have the blog post with all the individual PayPal purchase buttons — tack on another 2 or 3 hours. So in total, I spent about 20 to 25 hours of prep-time just to offer the prints for sale. Add on an additional 3 hours for the 8 prints I made for the 4 buyers (they all bought in the first 3 days and got a 2nd print for free). In the end, I probably put in 25 hours of work. Fair enough? Just follow me, I’m going somewhere with all of this. So 4 buyers paid $25 for prints. That’s $100 in my pocket. Now (for each purchase) subtract $1 for the PayPal transaction, $1 for packaging, $2 for materials (paper and chemicals), and an average of $5 for shipping. That leaves me with $16 per purchase, or $64 total. Not exactly my idea of “raking it in”. So needless to say, I probably won’t be offering up darkroom prints at this price again — it’s just not worth my time to spend so much energy for so little return. Again, let me repeat that I’m totally grateful for the 4 people who did purchase prints — it’s a great feeling to have somebody actually pay you for your efforts. The moral of the story: Selling prints is hard work. Expect anything between disappointment and excitement. But whatever your experience, enjoy it. I’m pretty happy I did all this work, because now I’ve got 10 good-looking prints to hang on my walls. This entry was posted in News and tagged business, photography, print, sell on April 22, 2009 by Brian Auer. In early March, Tasha Schalk wrote an informative article about the business of photography and we launched a project to go along with it — all you had to do was tell us your business plan for the upcoming year. Tasha and Tracy Tesmer also offered up a few prizes to go along with the project. My goals for 2009 are mixed are possibly not related, which has made it hard to work on both at the same time. The first is to hold a solo exhibition based around my work at the Lithgow Blast Furnace. My intention is to highlight the beauty of this place and to document the changes as it undergoes restoration as part of the Lithgow council’s plan to make Lithgow more attractive to tourists. I’m struggling with this due to time, but also on how to find new angles and ways to highlight the way in which the structure changes over the seasons. Additionally, a solo exhibition from (at this point in time) an unknown and unestablished artist in the area is an ambitious task. The second goal for 2009 is based around my concept of Professions. My aim is to identify what makes a strong portrait in terms of how it represents a persons character, and how best to portray emotion through my work. I’m trying to work mainly in large format as that requires forethought and planning, although I have been using some medium format for when more spontaneous sessions present themselves. The moo cards would be brilliant in this respect as I often see charismatic people on the street that I’d love to photograph, but as yet I haven’t had the confidence to approach them. Having a small card with my details and a smaple of my work on it would boost my confidence and hopefully facilitate more work with people who I consider interesting. I suppose both are ambitious tasks, but it’s helped to have to explain it here in this comment, as it has made it even clearer in my mind and has solidified my intentions to pursue both goals more strongly this year. Personally, I voted for the_wolf_brigade because he identifies a couple of specific goals with his intent and plan of action. These are important aspects of any business plan, photography or not. There were several other good business plans in the project, and I wish everybody the best of luck with fulfilling those goals! This entry was posted in News, Projects and tagged business, News, photography, project, winner on March 30, 2009 by Brian Auer. This article was written by Tasha Schalk of Redwall Photo. Read on for great information and details on a project (with prizes!). And be sure to read her full bio at the end of the article. Also, in the spirit of start-up businesses, I am providing a $25 gift certificate to Moo.com and Tracy of Three Heart Photo is donating a 50% off gift certificate for select design services at Three Heart Design. Both of these prizes will go to one winner – to enter, either leave a comment or a link to a blog post about your photography business goals for 2009. What is one thing you want to accomplish in 2009? It can be anything from second shooting at a wedding, to booking a certain number of paying shoots, or to creating a portfolio. Let us know! Brian, Tracy, and I will be chosing the winner. And remember, a comment and/or a link to a blog post will enter you in the contest. From wikipedia, “a brand is a collection of symbols, experiences and associations connected with a product, a service, a person or any other artifact or entity.” Branding is important because it conveys what your photography and style are all about in one brief glance. The first step is to devise your company name. Many photographers base their business name off of their own name, others chose something a little different. Whatever you chose should reflect you and your style of photography, and it should be concise and timeless. Pick something that you will not get tired of. A logo is an important step in branding. The colors and style of your logo should reflect who you are as a person and an artist. For example, if you are a maternity/baby photographer, your logo might be comprised of soft pastels. If you are an event or corportate photographer, you would want clean lines and neutral colors to communicate your professionalism and flexibility. An extension of a logo is a watermark. A watermark is placed on photos to mark that photo as yours. Many people also employ watermarks as a deterrant to theft. I am a fan of watermarks, not so much for the theft issue, but because it constantly puts your name out there. There are several types of watermarks – those that are intended to deter theft and cover vital parts of the image, and those that are small and unobtrusive along the bottom of an image or in a frame. Which watermark you chose to use is up to your priorities. Business cards are a necessity. They are an old-school form of marketing, but effective and cheap. You never know whose hands a business card can fall into. And even better, give friends business cards so that they can hand them out when they run across someone that needs a photographer. Much of business comes from word of mouth and referrals, so make it as easy you can for people to refer others to you. 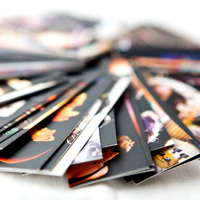 Portfolios are necessary so that those people that you hand your business cards can see a showcase of your work. A portfolio should have no more than 15-20 of your absolute best images, with your strongest image at the end, and your second-strongest image at the beginning (first and last impressions are the most important!). Try to show diversity in your images (if possible, only one image per shoot), but remember to make sure that the photos represent your style. Photoshelter recently released the results of a survey that they conducted on image buyers. The report is a good resource to use when designing (or buying) a photo site design. The report can be found here. If creating your own webpage, a few cheap and reliable hosts are godaddy.com and 1and1.com. If buying a pre-made portfolio, bludomain.com is popular for higher-end portfolios, while carbonmade.com is a cheaper (but not as flashy) solution. If creating your own website, simpleviewer and autoviewer are easy to use and customizable flash galleries. Also, don’t forget to get a domain name to match your business name! Everyone knows someone. Talk to everyone you can. 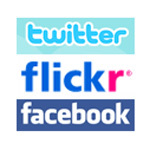 Sign up for social-networking sites such as Myspace, Facebook, Twitter, and Flickr. Get your photos out there, so others can see your talent. Always be on the lookout for photo-ops – this can include businesses and individuals. For example, if a business is having a grand opening, contact a manager to see if they would like photos throughout the day. If you know of someone that is graduating, ask if they would be interested in graduation photos. Once you get a large enough client base, word of mouth will travel, and you will have offers coming in to you. Along with networking comes networking with other photographers. Do not be afraid to refer clients to other photographers if you cannot cover an event or job, not only will other photographers begin to refer jobs to you, but you will also have a client that remembers you for taking an interest in their needs. Part of being a professional is also ensuring that you can deliver whenever you book a job. If you do not have experience in a specific area, do not book the job (refer the job to a fellow photographer!). Your clients will respect and trust you for maintaining high expectations for your own work. This is one of the hardest areas of starting up a small business. What to charge? You want to charge enough to make it worth your time, but worry about driving away clients with too-high prices. The short answer is that there there is no definite answer. Remember, that fee is just for shooting – you need to figure in licensing costs and printing fees if you are licensing or printing images. Also helpful is a program called FotoQuote that provides quotes for a variety of types of photography. Finally, once you have your prices figured out, create a concise, but complete, rate sheet that shows your prices and packages that you can either post on your website or can send to potential clients. If you are working with clients, it is important to have a contract that outlines what both parties have agreed to. These contracts should (at the least) outline what work is being delivered, dates and times of shoots, what the price is, and what reproduction rights, licenses, and copyrights the photographer and client have. 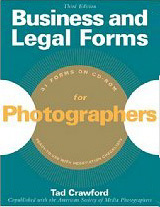 A fantastic resource for basic contracts is the book Business and Legal Forms for Photographers by Tad Crawford. Also, insurance is highly advisable. Most major insurance companies will offer business insurance, which will not only cover theft/damage of equipment, but will also offer medical and liability insurance for when you are on-location on a shoot. In my experience, the piece of mind that business insurance brings is well worth the relatively low fee. For more reading on business insurance, check out photo.net’s info page. Above all, be professional and have fun. Nobody wants to work with someone who does not return phone calls and emails, or shows up to consultations in their pajamas. On the flip side, photographers most often shoot joyous or exciting events, so potential clients want someone that will enjoy their day with them. If you are enthusiastic about your job and work, then others will get exited about your work! If you have any other tips or invaluable resources, please speak out in the comments! 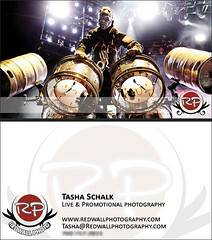 About the author: Tasha Schalk is a professional photographer in the Chicago-area and owner/photographer of Redwall Photo. Her passion and specialization is music photography, which is evident by her sleep-deprived eyes and arsenal of fast lenses. She also is the full-time photographer for Concordia University Chicago, where she is laden with assignments for event, editorial, and portrait photography. She spends way too much time online, frequenting her Flickr, Twitter, and Myspace accounts. About the sponsor: Tracy Tesmer is the owner/photographer/designer of Three Heart Design and Three Heart Photo. She helps photographers, artists, designers, and independent businesses market and re-brand. She is an eco-friendly studio and designer with a background in painting, set design, makeup design, photography, and drawing. Three Heart Design can be found on Flickr, Twitter, and Facebook. This entry was posted in Features, General Tips, Projects and tagged business, business plan, contest, foto, free, marketing, money, photo, photography, photography business, plan, project on March 6, 2009 by Brian Auer. I totally skipped the roundup last week. My Dad and Brother were in town unexpectedly for the weekend, so I took the time off to hang out and relax. So this roundup is from last week (note the date in the title). The roundup from this week will be published soon. You still have a few more days to participate in this photography project and win yourself a SmugMug Pro account! That’s a $150 value, and all you have to do is shoot some photos and put them in a holiday season collage! This stuff is for the serious DIY photographer! 6 pieces of equipment and accessories that you can make from paper. Our pal Jeff Revell announces that his first book is up for sale. Awesome work, Jeff! Some good tips for travel photography, and some awesome photos to help make the point. For all you aspiring wedding photographers out there, here’s a great video from Master Wedding Photographer David Ziser. A good discussion on some of the major players that have shaped the face of photography in the age of the Internet. Kids can be the easiest subjects and the most difficult subjects to photograph. Here are some tips to make things easier. If you’re thinking of swapping gear for the DIYPhotography project (or even for fun), here are some really good ideas on what to swap. It’s getting to be late in the game, but here are some good gift ideas that you can create with your photos. Our pal Neil Creek made a big decision to go all out and become a full time photographer. He’s off to a good start and I’d encourage anybody considering the same to watch Neil closely over the next few months. And I wish Neil the best of luck with this endeavor! This entry was posted in Roundup and tagged book, business, canon, christmas, diy, free, gift, holiday, links, News, photography, project, Roundup, smugmug, Travel, wedding on December 19, 2008 by Brian Auer.